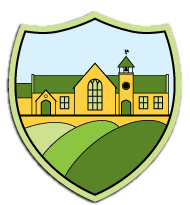 At The Meadows we actively promote the development of pupils’ spiritual, moral, social and cultural understanding to enable them to thrive in a supportive highly cohesive learning community. As a school, our motto is ‘learning by caring and sharing’ since we recognise the importance of each child and their contribution to our school community. • Pupils to develop their own personality and have respect for different people’s feelings and values. • Pupils to use imagination and creativity in their learning, and are able to reflect on their experiences. 1. In every individual lesson where the children are given the opportunity to reflect upon their learning when; ticking off their success criteria, reviewing the work which they have produced and when completing their corrections. 3. When using their thinking hats to approach a question or problem creatively. 4. Through celebration assemblies and rewards given each day in class where children are valued for their individual talents and personalities. 5. Providing children with the opportunity to learn about different religions through our RE curriculum so that they gain an understanding of spirituality. 6. Providing children with the opportunity to reflect during collective worship. 7. Spiritual opportunities are explicitly identified in the enquiry based approach to the RE curriculum. • Pupils recognise the difference between right and wrong. • Pupils understand society’s values. • Pupils develop their understanding of the consequences of their actions which will then encourage them to make reasoned decisions. 1. Visitors to the school such as: the local vicar, the Bishop of Stafford, representatives of the Police and Fire Service. 2. Through our Internets Legends curriculum, which teaches digital resilience and the management of risk online. 3. Through our Behaviour for Learning policy which is built upon the firm foundations of "The Secret of Success". Children consider their choices and actions, reflecting upon the impact to themselves personally and to others. Where necessary written reflection acts as restorative justice. 4. Children take ownership of their classroom charters, recognising the environment which needs to be created to allow children to learn and feel safe. 5. Providing children with the opportunity to learn about society and the rules which govern it through our RE and PSHE curriculum. 6. Through the use of the home-school agreement. 7. Children are involved with committing to following the rules of the acceptable user policy. 8. The use of circle time to explore issues within the classroom or school environment. 9. By encouraging children to be ambassadors of our school values when they are undertaking school trips or involved in community events. 10. Moral opportunities are explicitly identified in the enquiry based approach to the RE curriculum. • Pupils to work collaboratively with each other and participate successfully in the community as a whole. • Pupils should have a willingness to develop skills that are necessary to be able to resolve conflicts and to create successful relationships. Through the participation in a wide variety of sporting and social events where the children have to mix with pupils from a range of backgrounds. By taking children in Key Stage 2 on residential where they have to work collaboratively and mix with pupils from other schools. A buddy system is used throughout the school to provide children with peer to peer support. Frequent fundraising for local and global charities. Thematic mix up days where children have to work collaboratively with others across all ages and abilities. Through the use of talk partners in each lesson. Flexible use of additional adults to provide guidance and support where necessary. The use of collaborative learning to enable pupils to respect and tolerate others. 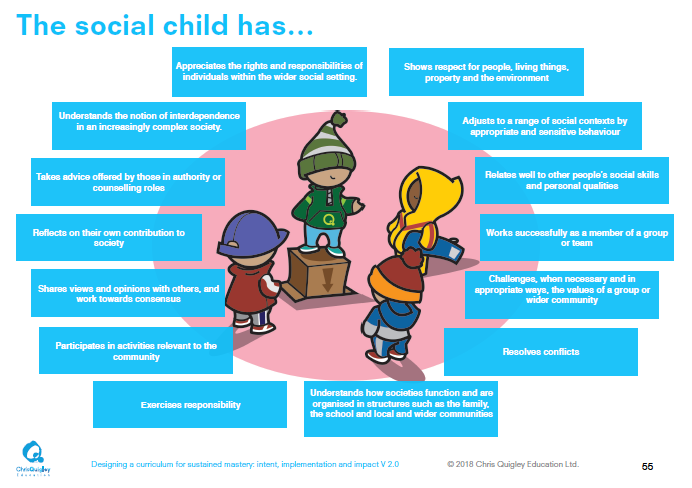 Social opportunities are explicitly identified in the enquiry based approach to the RE curriculum. • Pupils should develop an understanding of their own culture and beliefs. • They have an appreciation of diversity within their own school. • They show an awareness of British values and encouraged to take pride in their heritage. • Pupils will explore and appreciate cultures and religions from around the world. 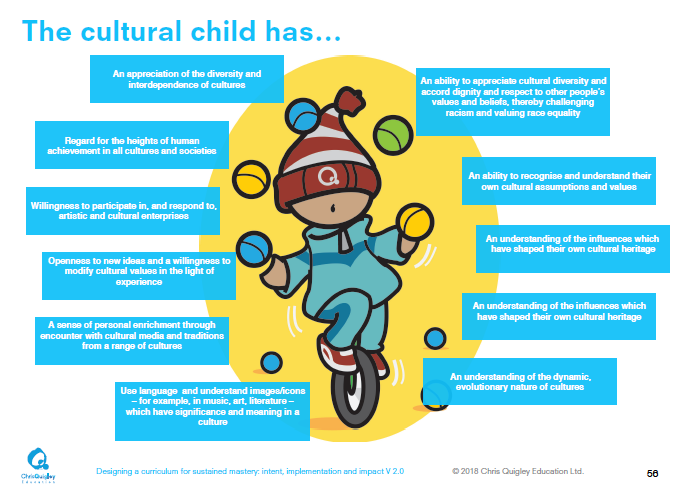 • Pupils have an understanding and respect for cultural diversity and reflect this in their attitudes and behaviours. 1. The use of Literacy texts from different cultures, countries and religions. 2. By exploring countries from around the world in topic. 3. Sharing and celebrating pupils’ diverse backgrounds through topics. 4. The use of interactive displays about other cultures. 5. Assemblies which reflect various religious celebrations. 6. Developing children’s knowledge of the diversity found within British society though assemblies, thematic weeks the RE and PSHE curriculum. 7. Developing links with other schools from contrasting communities in Britain. 8. Participating in community events such as the rededication of the war memorial, community garden and wildlife projects etc. Adopting strong links with the Parish Council and other community groups. 9. 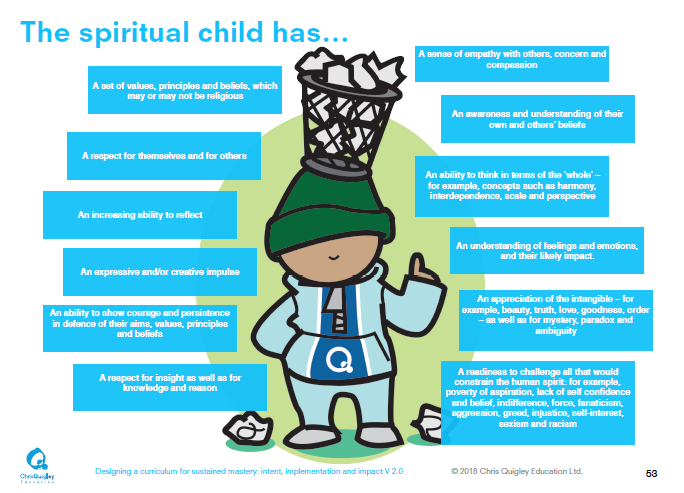 Spiritual opportunities are explicitly identified in the enquiry based approach to the RE curriculum.